Does adding GPS to RIM's new Crackberry make it an iPhone killer? Can the BlackBerry Pearl 8110 compete with the new Apple iPhone? Rumour has it that Apple's new 3G iPhone is going to sport GPS functionality when it's launched next week. But even if that is the case, Apple won't be the first big smartphone manufacturer to add GPS to its product. 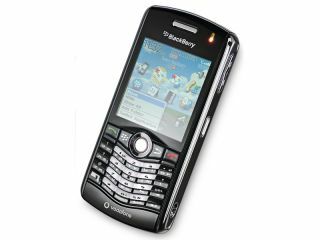 That's because in the BlackBerry Peal 8110, RIM has added GPS hardware in order to make it that bit more appealing to the mass market. Put it this way, you wouldn't want to ditch your existing satnav device in favour of using the Peal 8110 full-time. There are many flaws to be found, but beating at the heart of the 8110 is still everything that makes a BlackBerry a BlackBerry. Rafts of features, nice controls and a slim form factor.